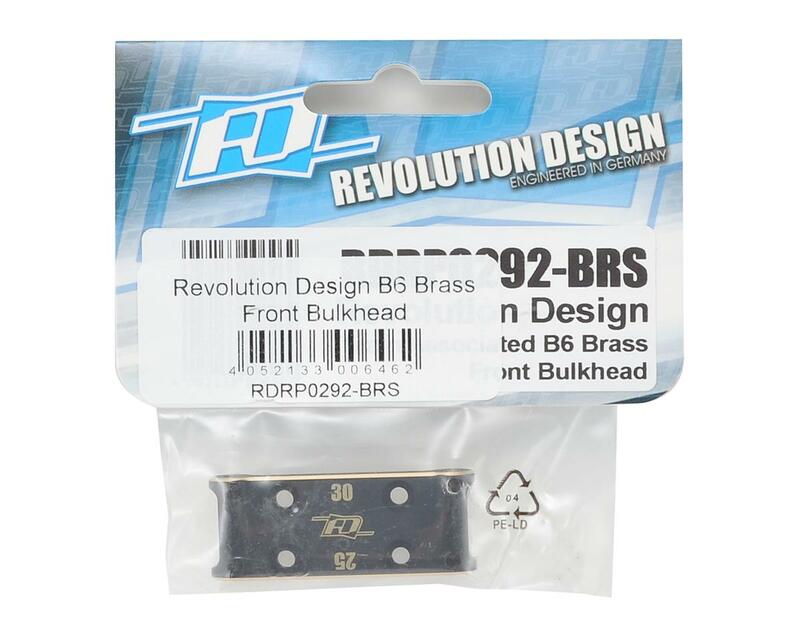 The RDRP B6 Brass Front Bulkhead replaces the stock plastic bulkhead, adding strength and weight. 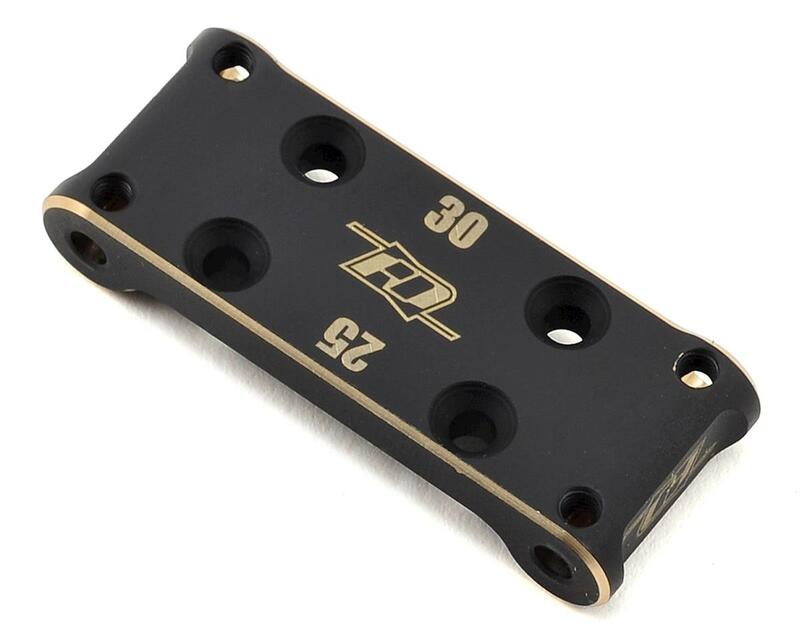 Machined from black coated brass and weighing in at 33g, this piece adds more weight to the front of the vehicle resulting in a more planted front end. The gold color chamfered edges give an aesthetic appeal. Designed for use with the Team Associated RC10B6 & B6D. I have purchased 3 of these for a b6, b6.1 and t6.1, lower cost, perfect fit and love the black color. The bulkhead I received took some trial and error to get it to fit. It's on, and looks great, but I can't recommend this bulkhead. Love it! Fits perfect and a beautiful add on to my b6d. If your looking for extra front end weight and traction, this item works well and looks good too!